When the curtain is raised on the next edition of the Games, the Swiss watchmaker will assume its Olympic Games timekeeping role at the world’s most prestigious sporting spectacle for the 25th time. 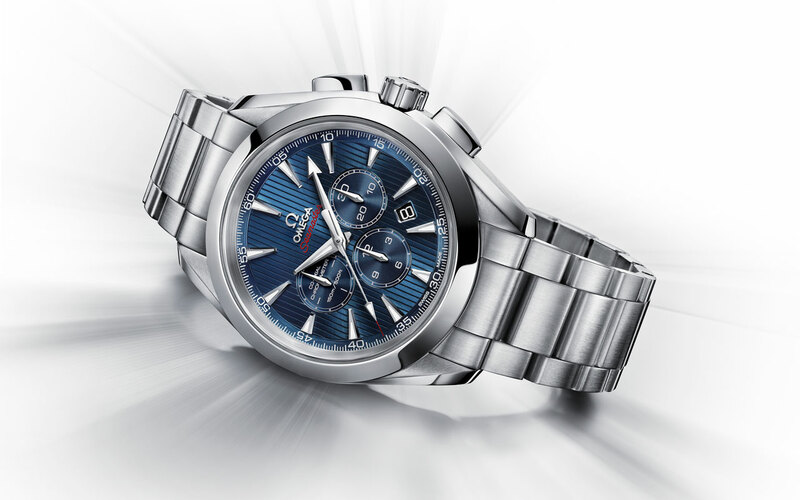 To commemorate the occasion, OMEGA has created the Seamaster Aqua Terra 44 London Chronograph in two configurations. One features a bicolour case crafted from 18 Ct red gold and stainless steel and presented on an integrated black leather strap. The other is made of rugged stainless steel and is presented on a matching bracelet. The bold 44 mm case is polished and brushed and has a polished bezel. The distinctive blue PVD-coated dial features the characteristic vertically striped teak-pattern dial which has contributed to the enormous popularity of OMEGA’s Aqua Terra family. The dial is highlighted by a small seconds counter at 9 o’clock and a date window at the 4:30 position. The chronograph 30-minute recorder is at 3 o’clock and the 12 hour recorder is at 6 o’clock. The Seamaster Aqua Terra 44 London has polished and brushed facetted 18 Ct gold central hour, minute and chronograph seconds hands treated with white Super-LumiNova to make them readable in all lighting conditions. 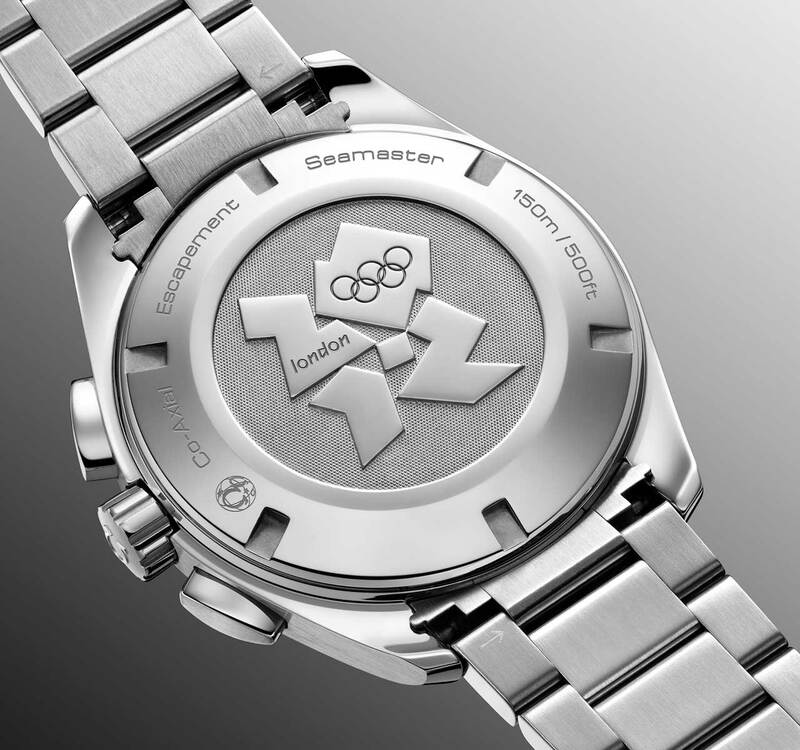 The case back celebrates the London 2012 Olympic Games dramatically: it is stamped with the “London 2012” Olympic emblem. The OMEGA Seamaster Aqua Terra 44 London Chronograph is water resistant to a depth of 15 bar / 150 metres / 500 feet.